M. R. Peacocke grew up in South Devon in a musical family. She read English at Oxford, but spent more time on a capella singing and playing the oboe than on literary studies. After years of teaching, travel, marriage, bringing up four children, a training in counselling and work in the children’s cancer unit of Addenbrooke’s Hospital, she moved to a small hill farm in Cumbria where she lived for twenty five years. She now lives in County Durham. She had written poems since childhood, but it was only in her fifties that she began publishing seriously. 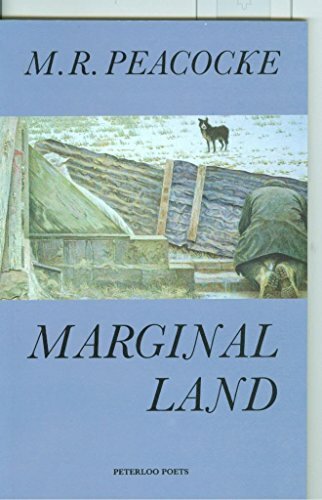 Peterloo Poets published four collections: Marginal Land (1988), Selves (1995), Speaking of the Dead (2003) and In Praise of Aunts (2007), and Caliban Dancing was published by Shoestring Press in 2013. Finding the Planes: New and Selected Poems was published by Shoestring in 2015. Several of her poems have won major prizes, and in 2005 she received a Cholmondeley Award. prayers with a hooky leg. 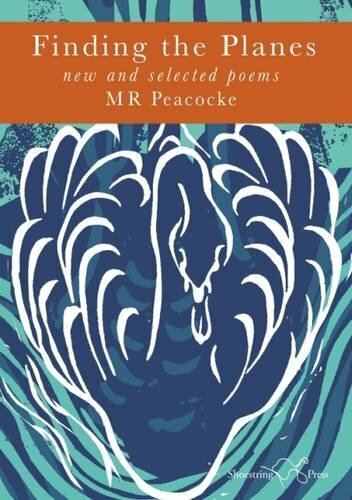 This stanza gives a sense of the syntactical intricacy, lexical range and tonal suppleness of Peacocke's work, and her superb reading of the poem here foregrounds its fluent, idiosyncratic music. M. R. Peacocke's recording was made on May 5th 2015 at The Soundhouse, London. The producer was Richard Carrington. Marginal Land. Peterloo Poets, 1988. 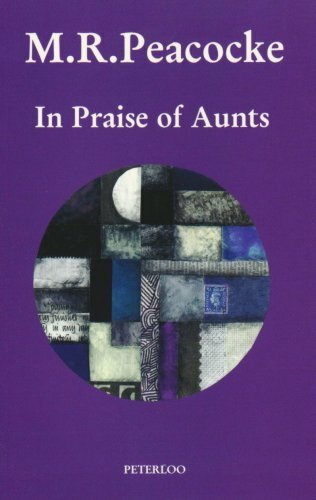 In Praise of Aunts. Peterloo Poets, 2008. 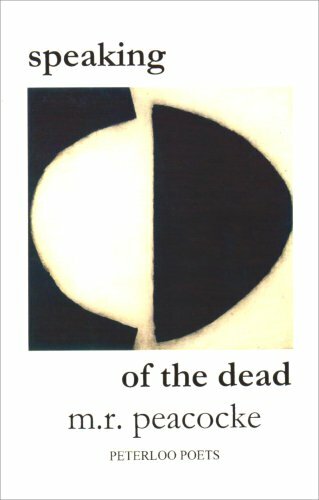 Speaking of the Dead. Peterloo Poets, 2003.